Hampshire lost SE Group Final to Essex by the narrowest of margins. After losing the morning foursomes (0.5 to 3.5) Hampshire fought back and the match was only decided by the final putt on the final green. The eventual match score was 5.5 to 6.5. 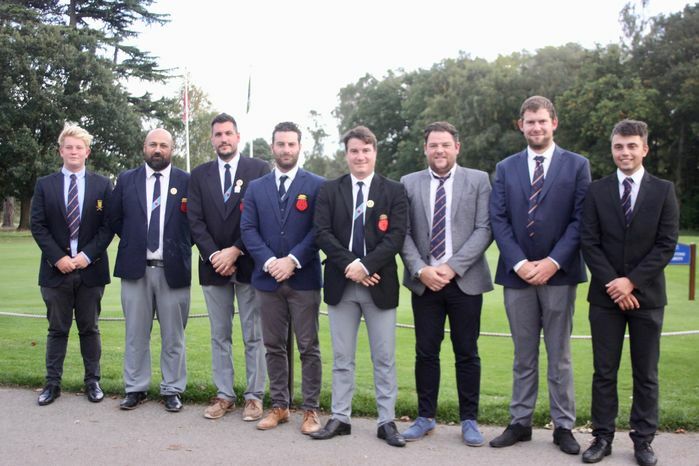 Hampshire Team (left to right): Jason Stokes (La Moye), Colin Roope (County Captain, Blackmoor), Martin Young (Brokenhurst Manor), Toby Burden (Hayling), Tom Robson (Rowlands Castle), Ryan Moody (Stoneham), Sam Parsons (Blackmoor) and Alex Talbot (Stoneham). 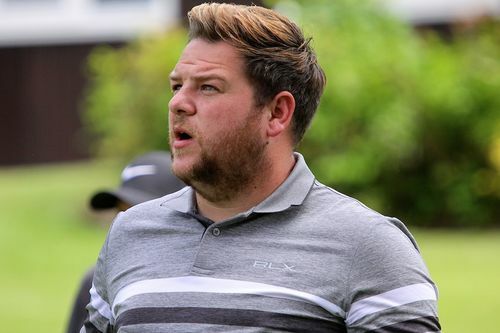 Hampshire play Essex at Frilford Heath on Sunday (7/10). Click here to read Andrew Griffin's preview of the Final.